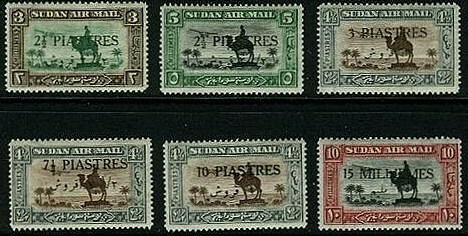 In 1935, Sudan issued a surcharged airmail set (Scott #C17-22) , by overprinting some of the stamps from its 1931-35 Statue of General Gordon Issue. 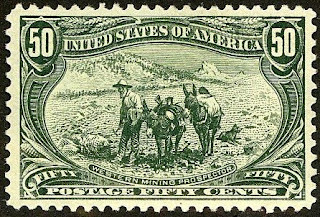 Only 10,000 sets were issued, and Scott '14 prices the unused set at $23.20. 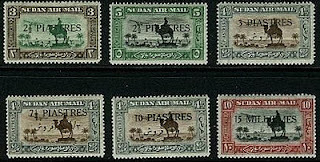 While few of these stamps were actually used (the used sets are far pricier than the unused ones), the set is still undervalued, especially since it has potential dual market appeal among collectors of British Commonwealth and collectors of Sudan. Until recently, Sudan was a nation of about 42 million people, living under what is perhaps the most vicious regime on the planet. It had suffered several civil wars over the last 50 years, including the one waged in Darfur, which earned the government international condemnation and charges of genocide. Recently, Southern Sudan (population = 8.2 million) gained independence, and it is unclear whether this will result in a lasting peace. 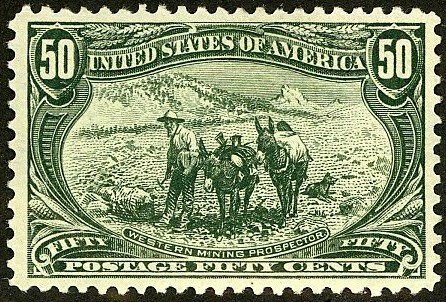 Both countries are rich in oil, natural gas, and minerals. Agricultural production remains the most important sector, employing 80% of the workforce and contributing 39% of GDP, but most farms remain rain-fed and susceptible to drought. Political instability,adverse weather, and weak world agricultural prices ensures that much of the population will remain at or below the poverty line for years. Annual GDP growth (for Sudan as a whole) has been very high, averaging almost 8% over the last five years. However, it is very likely that most (or all) of the prosperity has benefited only the ruling elite, as Sudan was not only one of the world's most murderous countries, but also one of the most corrupt. I recommend the set on the basis of its appeal among British Commonwealth collectors. Should a significant collector population ever develop within either of the two Sudans, it would provide an additional catalyst for price appreciation.